CES 2014: the good, the bad and the downright crazy | What Hi-Fi? CES is the biggest technology show on the planet. During the early part of January, 200,000+ visitors descend on Las Vegas in the Nevada desert as thousands of tech companies, big and small, show off their latest innovations. Just to put it into some kind of perspective, there are 3200+ exhibitors, 140+ start-up companies and thousands of products launched across 15 product categories, according to the official CES website. 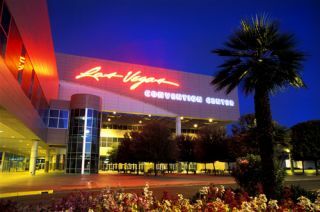 The show covers all three (vast) halls of the Las Vegas Convention Centre, plus several hotels on the Strip, with all the hi-fi and AV exhibitors packed into several floors of The Venetian hotel. That's where What Hi-Fi? Sound and Vision is based for the duration of the show. The event kicks off on the Monday with back-to-back press conferences every 45 minutes throughout the day from the major consumer electronics manufacturers such as Sony, Samsung, Panasonic, LG, Sharp and the like. As a journalist covering the event, you face a tsunami of information which you then have to digest and try and make sense of for your readers. My biggest fear is that having travelled 5000 miles to get to CES, and 5000 back again, I'll miss the big story that the rest of the world's media has picked up on. The truth is, even if you were there for a month, you couldn't possibly cover every product launch or see every exhibitor. However, what I can do now that I'm back in the UK is try and give you some kind of perspective on this year's CES: the technology highlights and trends that will set the pace for the year ahead. Let's start with TVs: without a doubt, the phrase "world's first" was the most over-used this year. When it came to the launch of curved or bendy TVs, the Korean giants in particular were tripping over themselves to get in first. So much so that I was even invited to a Samsung 'preview' of its 105in curved 4K TV, and 85in bendy TV, the night before the official press conference. Of course, not to be outdone, it was less than 24 hours later (in fact, at 8.30am the following morning to be precise) that LG unveiled its 77in flexible curved OLED TV. And, like Samsung, it also had the "world's first" 105in, 4K Ultra HD curved TV (below). But there was one notable difference this year in the TV tech arms race: OLED screens were much less in evidence than I expected. In fact, what did surprise me (and I wasn't alone) was that only LG seemed to be pushing 4K OLED sets. Yes, 4K was undoubtedly one of the big themes, but most of the sets I saw were 4K LCD/LED. Samsung remained very coy about OLED when I asked them about it, Sony didn't even mention OLED TVs at its press conference and that left LG to make all the running. LG announced three curved 77in, 65in and 55in Ultra HD OLED screens to be joined by a new, second-gen curved (non-4K) OLED model. So the question is: have the other TV manufacturers decided large OLED screens are too expensive or complex to make for mass production? Or do they feel 4K LCD/LED quality is good enough? That's one development we'll be watching very closely during 2014. Sony eschewed all the gimmicks offered by its Korean rivals and stuck resolutely with flat 4K TVs: there wasn't a curved or bendy screen in site. I can't help thinking that Sony may have taken the sensible approach here: yes, a screen that you can turn from flat to curved at the press of a button makes for a fun demo on the show floor, but is it any more than a gimmick? I don't think so. Instead, Sony has decided to concentrate on flat 4K LCD/LED screens that it presumably thinks it can actually manufacture and sell to customers in reasonable numbers. It has three new ranges of 4K TVs and five new Full HD ranges. While you'll probably have to pay a premium for the 2014 4K sets from the likes of Sony, Samsung, Panasonic and LG, I did spot a couple of budget 4K models from Polaroid and Australian brand Kogan. Both will sell for well under £1000, proving that high-tech doesn't have to mean high price. Whether they're any good or not remains to be seen. Another surprise at the show was that plasma screens live on, despite Panasonic's much publicised decision to end plasma production in 2013. LG continues to fly the plasma flag, with the firm confirming it will have four plasma TV ranges (and five sets) in 2014. And what of 3DTV? Well in truth there was barely a mention, and it seems as if the big TV manufacturers have effectively accepted it's dead in the water. It may continue to be a feature on most sets, but there wasn't much in the way of new announcements. WILL THERE BE ANY 4K CONTENT IN 2014? Still, 4K was the really big talking point and that begs another question: we might be able to buy 4K TVs in 2014, but what will we actually be able to watch on them? Netflix and YouTube came to the rescue on that one, announcing new partnerships and content. YouTube had a demo of its new VP9 codec designed to cut the data used by the current H.265 codec by half, while Netflix announced it will stream Season 2 of House of Cards and all of Breaking Bad in 4K. Buyers of Sony 4K TVs could be the first to benefit as it has teamed up with Netflix to bring 4K content to its 2014 Bravia 4K TV range. The interesting thing about that was that at Sony's CES press conference, Netflix discussed how Sony was using the new HEVC (High Efficiency Video Coding) coding to help create a more efficient streaming solution with Ultra HD 4K content. Theoretically, HEVC allows 4K content to be streamed without the need for ridiculously fast broadband, although Netflix CEO Reed Hastings did state you'd need around 15Mbps minimum for a stable Ultra HD 4K stream, either through ethernet or over wi-fi. Lucky for those with broadband fast enough to handle 15Mbps, not so good for those who don't. Interesting to note that Netflix chief product officer Neil Hunt reckons that you'll never buy 4K on a disc. "The cost and effort of building a whole new disc format and putting that together for the relatively small number of people who'll have a device in the short term isn't going to happen, and the broadcasters aren't going to deliver it in the short term. So it's going to be internet-delivered." And here's another thing: even if you already have a 4K TV, you won't be able to watch Netflix in 4K without an HEVC decoder. This year's models will have the technology built in, but if you were an early adopter, you're probably out of luck. Ouch. So much for high-resolution video. What about high-resolution audio? The latter was billed as one of the big themes this year, with a dedicated 'High-resolution audio zone' at the show. Cue much excitement from those of us who have been pushing for better-than-CD audio for some time. I went to the hi-res audio press conference, and sadly have to report it was a rather lacklustre affair. Held in a small meeting room, with a panel of guests from the record industry, it did little to inspire. Yes, HD Tracks were there with a promise that it will launch its hi-res download service in the UK "in the next 60 days", but we've heard that before. There were representatives from Sony Music Entertainment, Universal Music, HD Tracks, Blue Coast Music and Native DSD Music, so come on guys, let's get some impetus behind this and explain it to the general public in a way they can understand. Fortunately, there was rather better news when it came to hi-res hardware: Sony was once again flying the flag on its stand, with a dedicated area for its new range of hi-res audio products, including the Sony NWZ-ZX1 Walkman which will go on sale in the UK in February for around £550. And, as we've already reported, Sony has a range of dedicated hi-res audio separates. Meanwhile Astell & Kern took the wraps off its AK240 hi-res audio player, which we voted one of our Stars of CES 2014. Elsewhere in the Venetian it was good to see a new British hi-fi company, Johnson and Mitchell, making its international debut. These are the guys who previously brought the Sansui brand back to the UK, and now they're planning to bring in a range of budget and mid-price hi-fi components aimed squarely at the territory currently occupied by the likes of Cambridge Audio, Denon and Marantz. I'd originally assumed these were just re-badged Sansui components, but Paul Mitchell and Dave Johnson assure me they've done a lot of redevelopment work on the products and ultimately hope to bring final assembly back to the UK. Definitely one to watch. There was plenty more top-notch British hi-fi flying the flag at CES too, from Chord with its new Hugo headphone amp/DAC, Monitor Audio's first ever amplifier, the intriguing looking Airstream A100, and Arcam's new flagship A49 stereo amp, to Meridian with its 25th anniversary DSP speaker range, Tannoy's $75,000 Kingdom Royal Carbon Black speakers and Naim with its extraordinary $200,000 Statement pre/power combo. That certainly got everyone talking! Beyond the walls of the hi-fi and AV element of the show at The Venetian, there was a new Car Tech zone in the North Hall of the Las Vegas Convention Centre. Audi, BMW, Mercedes, Toyota and Chrysler/Jeep were there, BMW with an entire fleet of its new i3 electric cars parked outside the main entrance and seen whizzing around all over the city. Star of the show for me (and for our sister title Stuff.tv) was the fabulous Audi Sport Quattro Laserlight. Audi has kitted its latest concept car out with headlights that combine lasers and matrix LEDs to illuminate the road up to 500 metres ahead of you. The innovations aren’t confined to the lights – its hybrid four litre bi-turbo V8 turbo engine will propel you from 0-62mph in 3.7 seconds, and its next-gen Nvidia-powered infotainment system massages your eyeballs with hi-res 3D graphics. But get this: it’ll go from 0 to 62mph in 3.7 seconds and has a top speed of just under 190mph. Yet the hybrid system – and the car’s lightweight build – means that you’ll get fuel consumption of around 95 miles to the gallon. Now that's impressive. Mercedes-Benz impressed with its prototype Predictive Use control system. Looking like something out of Mission Impossible, with a large touchscreen control, it uses sensors built into the car to monitor your journeys and driving habits and can then predict where you're going and what you're doing. So, for example, say you get into your car at 8.30am. It knows that, if it's a week day, you'll probably be driving to the office. But if it senses two (small) people sitting on the back seats, it works out that you've got your kids in the car – and will probably be taking them to school. So it asks if you want the sat-nav to check out the school run and will advise you if there are any delays, suggesting an alternative route of necessary. Once you drop the kids off at school, it will know they've got out of the car (those seat sensors again), so will automatically set the sat-nav to take you to work. It will also ask if you want to phone the office before you get in. And maybe you have a favourite coffee shop you stop off at on the way to the office, so it can ring ahead and you can order your coffee for collection en route. At the end of the day, on your way home, the sensors may note that the outside temperature has fallen below freezing. So it will turn on various safety electronics to help stop the car skidding on ice. It may sound like science fiction, but Mercedes says it already has most of the necessary sensors built into its cars and it's not such a giant leap to make it all happen. And, as already mentioned, BMW used CES to showcase its 'i' sub-brand of electric vehicles, including the i3. Given that Tesla has had such success in the US, it's obvious the big car makers see America as a key market for their new electric vehicles. AND FINALLY – THE CRAZY STUFF! Of course, no CES would be complete without the weird and wacky. One of my favourites was this V12 Fi engine coffee machine costing £9000! The seductively-named Espresso Veloce Serie Titanio V12 is a half-scale engine block and is forged from the very same materials used to create the real deal – namely titanium, stainless steel and aluminium. If you want one, you'd better hurry – they're only making 500. And no CES would be complete without those cringe-worthy press conference moments. CES 2014 produced an absolute blinder, when Hollywood producer Michael Bay (he of Transformers fame) walked off stage during the Samsung press conference when his autocue failed. And if you'd like to see more, watch our video of the Samsung press conference. The resulting social media storm must have had Samsung's PR team first gasping with horror, then wondering just how much it would have cost them to get all that coverage across the world's media, including the BBC, CNN and of course good old whathifi.com. As the saying goes, there's no such thing as bad publicity.